After last night’s three homer performance, Fangraphs’ Dave Cameron wrote this: that it’s time for baseball to adjust to Mookie Betts. 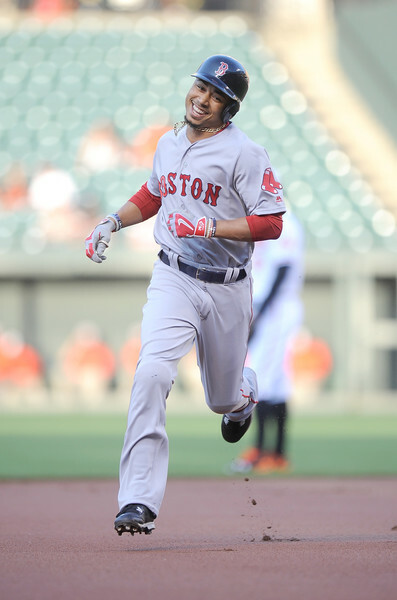 Then Mookie Betts led off tonight’s game with another homer. And then he homered again. He became the first lead off hitter in baseball history to amass five home runs in two games. There’s a good chance that someday you’ll be glad you were around when Mookie Betts was playing. Here are all five of them, which look more insane if you watch them. He has insane power middle-in; and last night he homered to all three fields. Wednesday night? Right-center then left-center. Completely insane talent on this kid. If you like WAR he is your dream player. And we’ve gone on long enough without a post devoted solely to Mookie Betts. ← Previous Story Is Xander Bogaerts the best hitter in Baseball? At the moment, yes.